The Saudi Arabia border near Iraq frontier is vulnerable as it lies near the Anbar province, which is largely held by ISIS forces. With the ISIS militant forces inching closer to Baghdad, Saudi Arabia has urged allies Pakistan and Egypt to send in troops to secure its border near Iraq. Saudi Arabia shares a 500 mile-long border with Iraq and Syria. 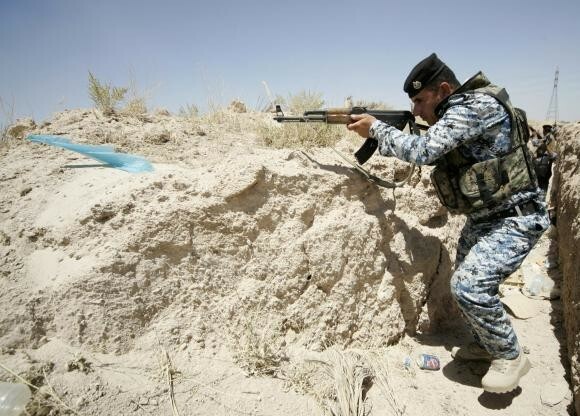 The ISIS has a strong control on Iraq's western borders near Syria and Jordan. And with the militants taking one town after the other in Iraq, the Southern border with Saudi Arabia could be the next possible target. The Saudi Arabia border near Iraq frontier is vulnerable as it lies near the Anbar province, which is largely held either by ISIS forces or by tribes which have sworn loyalty to the Caliphate under Abu Bakr al-Baghdadi. Last month, The Telegraph had reported that the Saudi government sent in an additional troop of over 30,000 soldiers to the desert border to stop any advance from the ISIS. Interestingly, the ISIS has often been seen as a group that flourished under the patronage of the Saudis. There have been allegations in the international community that Saudi Arabia covertly supplied weapons to the ISIS to fight Syrian President Bashar al-Assad. "ISIS has been a Saudi project," The Atlantic had quoted a senior Qatari official back in June. However, Saudi Arabia has rubbished all such accusations. An ISIS invasion of Saudi Arabia is still a far-fetched idea, however, the Saudi government faces the threat inside the country. As per a report in Al Monitor, the Saudi home ministry had discovered an ISIS splinter cell in the country back in May. The government had arrested 62 men, most of whom were Saudi nationals.